Cozy starter 2BR, 1BA Single Family Residence in highly desirable El Cerrito with amazing partial views of hills and ridges from your living room window. Immaculately preserved original Hardwood Floors newly refinished (MUST SEE), BRAND NEW Granite Kitchen countertop with minimalist Subway Tiled Full Backsplash and undermounted stainless steel Single Bowl Sink with a brand new Garbage Disposal, a free-standing vintage Gas Range/Oven for your culinary delights. Lots of ambient natural light throughout makes for a comfortable living spaces. Spacious Walk-in closet in Master Bedrooom. Serene Oasis Garden with yearly blast of Spring Blossoms, bulbs & succulents. 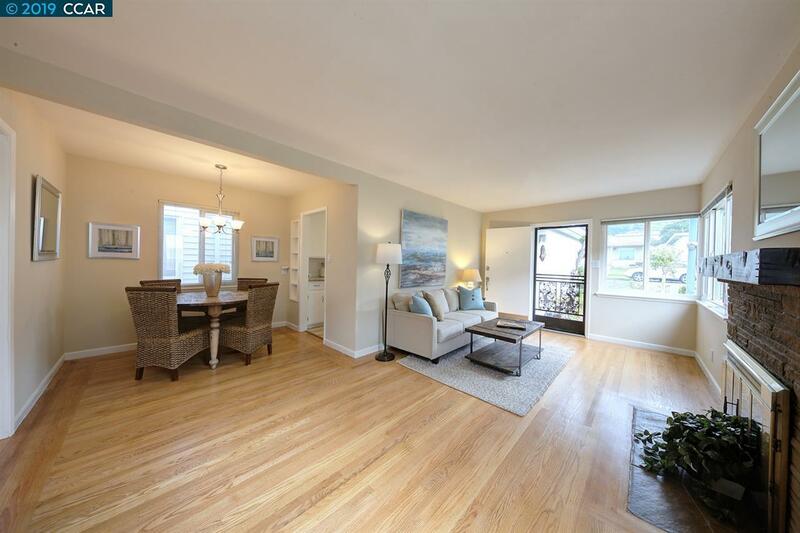 Walk to hiking trails, Natural Grocery Stores, Giovanni's, Farmers Market, Community Center (Swim Pool, Club House) close proximity to BART, El Cerrito Plaza, Schools, San Rafael Bridge, and I-80 to San Francisco.